What has Scrat got himself into this time? The first image for the upcoming next instalment of the Ice Age series of films has hit. Not only that we also get a great parody poster to go alongside the image. 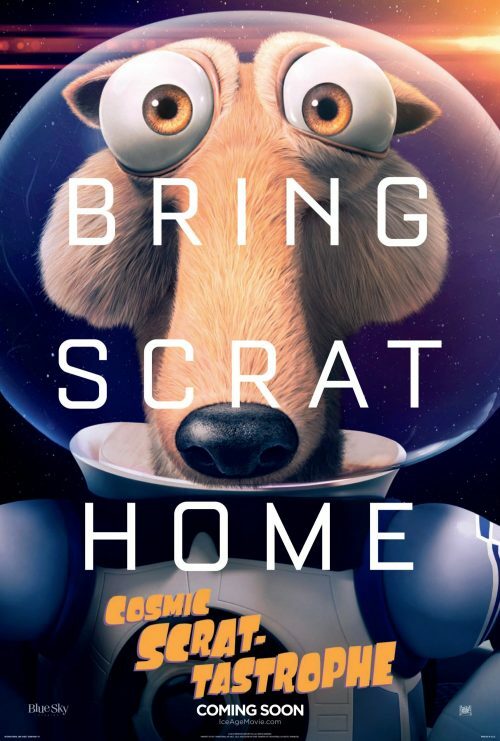 Scrat’s epic pursuit of the elusive acorn catapults him into the universe where he accidentally sets off a series of cosmic events that transform and threaten the Ice Age World. To save themselves, Sid, Manny, Diego, and the rest of the herd must leave their home and embark on a quest full of comedy and adventure, travelling to exotic new lands and encountering a host of colourful new characters.